$79.00 for $160.00 - ONE Story Home = Professional Exterior Window Cleaning, a $160 Value for Only $79! $99.00 for $200.00 - TWO Story Homes = Professional Exterior Window Cleaning, a $200 Value for Only $99! Valid for professional exterior window cleaning for residential property. Crystal Clear uses eco friendly pure water method of cleaning witch dries 100% spot free, 0 parts per million. Make sure to ask about the interior window special! Valid for up to a 2,500 sq.ft. home. For a minimal fee, receive a Premier Screen Wash & Protectant with this voucher. Valid for one, two, and three story residences. Call or TEXT appointments to 509-366-4372. $160 in professional residential window cleaning (up to 2,500 sq ft house) for a ONE story home for only $79! $200 in professional residential window cleaning (up to 2,500 sq ft house) for a TWO story home for only $99! All Crystal Clear Cleaning is a locally based company. Your deal will clean up to 2,500 sq feet, so you can be sure that your home’s unique needs will be met. 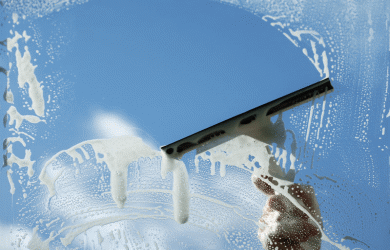 Windows are hand cleaned with the utmost care, guaranteeing to impress even the skeptics. 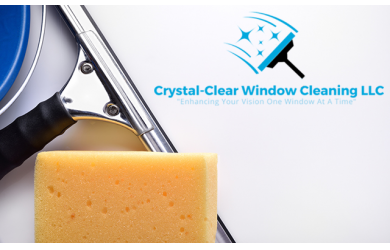 Crystal Clear will ensure that your home receives the TLC you wish to give it, with as little disturbance to your day as possible. Limit ONE PER PERSON, plus one as a gift! Hard water repair not included. Valid for only houses under 2,500 sq ft.
Subject to additional fee for any home over 2,500 sq. ft. or more than 2 stories, call for an additional quote before purchasing. By appointment - 24-hour cancellation required. Promotional amount good for 90 days from purchase. Limit ONE PER PERSON, plus one as a gift! Valid in Tri-Cities only. Valid for EXTERIOR only. Hard water repair not included. Cannot combine vouchers. Valid for only houses under 2,500 sq ft. Subject to additional charge for any home over 2,500 sq. ft. or more than 2 stories, call for an additional quote before purchasing. Tax and gratuity not included. By appointment - 24-hour cancellation required. Promotional amount good for 90 days from purchase. Cannot be used with other promotions or offers. No cash value.